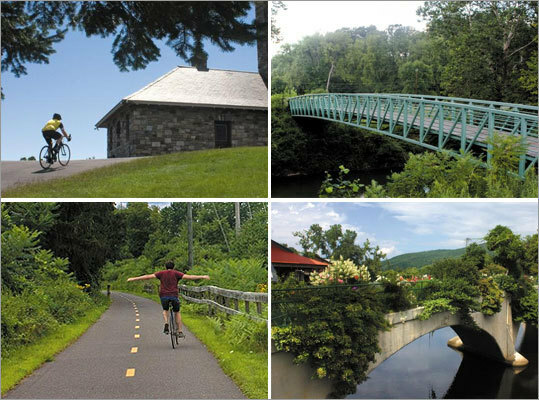 Freckled with farms, forests, dirt roads, covered bridges, and reservoirs, the Pioneer Valley is a haven for cyclists. If a road is not a designated bike path, it is almost sure to be bicycle friendly, with cafes, scenic overlooks, wooded rest stops, swimming areas, and state parks along the way. Check out some of the area's best rides.